(A)	Motion and response time. The moving party shall serve and file with its motion a brief written statement of the reasons in support of the motion and citations of the authority on which it relies. A party opposing the motion shall file, within ten days (except motions for summary judgment in Loc. R. 1.05 below) after a copy of the motion has been served upon it, a brief written statement of the reasons in opposition to the motion and citations of the authority on which it relies. The pages of motions and briefs shall be numbered. Except for motions for which hearings or extended briefing schedules have been set, a motion shall be considered as submitted for decision no later than twelve (12) days after it is filed. The court reserves the right, however, to rule upon motions in appropriate circumstances without waiting the normal response time. (B)	Unreported cases. When case reports from a source other than an official reporter are attached to a motion or response, the attorney or party attaching the case shall highlight the specific language in the decision which is most relevant to the motion or response. (C)	File original and one copy. Each party must file the original and one copy of its motion, memorandum or brief with the Clerk. The judges' staff do not file these documents for the parties. The Clerk will deliver the copy of the document to the assigned judge or magistrate. No facsimile or e-mail documents or copies will be accepted for filing without prior permission of the assigned judge or magistrate. Please also note the pleading requirements of Loc.R. 10. (D)	Hearings on motions. Motions will not generally be set for an oral hearing except (1) when required by rule or statute, (2) upon request of a party supported by justification satisfactory to the court, or (3) upon the court's own determination that an oral hearing would be helpful to the court in resolving the motion. (E)	Proposed judgment entry. A party filing a procedural motion, a motion for additional time or leave to amend, or any other motion which is likely to be resolved by a relatively simple entry shall include a proposed judgment entry on the motion for the use of the court. The proposed judgment entry should not be stapled to the motion. Parties submitting judgment entries should also be aware of the copy requirements of Loc.R.2.03(A). (F)	Cases assigned to magistrate. Until filing of the magistrate's final decision or order, all motions in a case assigned to a magistrate shall be directed to the magistrate rather than to the judge to whom the case was originally assigned. (A)	Continuances disfavored. The most common complaint of litigants regarding the court system is the delay in the resolution of disputes. The court endeavors to schedule hearings with due regard for the complexities of the case and the schedules of the parties and their attorneys, and the court looks with disfavor on continuances. (B)	Requirements of Sup. R. 41. The Ohio Supreme Court, in Sup. R. 41: (1) prohibits a common pleas court from granting a continuance of a trial or hearing without a written motion from the party stating the reason for the continuance, (2) requires the motion to be endorsed in writing by the party as well as counsel, (3) prohibits the granting of a continuance without first setting a definite date for the trial or hearing, and (4) requires a common pleas court to consider the feasibility of the alternate methods of recording testimony permitted by Civ. R. 30(B) and authorized for use by Civ. R. 32(A)(3) before granting a continuance because of the unavailability of a witness at the time of trial. (C)	Conflicting assignment. In compliance with Sup. R. 41(B), when a continuance is requested for the reason that counsel is scheduled to appear in another case assigned for trial on the same date, the case which was first set for trial shall have priority and shall be tried on the date assigned. Criminal cases assigned for trial have priority over civil cases assigned for trial. All motions for continuance based on conflicting trial assignments shall have attached to the motion a copy of the notice of assignment from the other court which the party contends takes precedence, and shall be filed not less than 30 days prior to trial. (D)	Client's acknowledgement of continuance. All motions for continuance of a trial filed by counsel shall be accompanied by a statement signed by the client that the client is aware that the motion for continuance is being made. (E)	Availability of medical witnesses. In cases in which the parties propose to use medical witnesses, the parties should take trial depositions of all medical witnesses. No case will be continued because of the unavailability at trial of the medical witness unless the moving party demonstrates that he promptly and resourcefully exhausted efforts to obtain that witness' testimony by deposition. 1.03	Motions for leave to plead. By written stipulation of the parties filed with the court, any party may be permitted up to 28 days additional time in which to answer or otherwise respond to a pleading against that party which requires a response. Any motion for leave to plead which is addressed to the court shall state (1) the facts which demonstrate good cause for the extension of time, (2) the number of previous leaves to plead and the total additional time already granted, and (3) the position of opposing counsel regarding the additional extension of time requested. 1.04	Motions for leave to amend, to intervene, to join a new party, or to file a third party complaint. A motion for leave to amend a pleading, to intervene, to join an additional party, or to file a third party complaint shall be accompanied by a copy of the proposed amended or other new pleading which will be filed if leave is granted. 1.05	Motions for summary judgment. Motions for summary judgment are governed by Civ. R. 56. Memoranda in opposition to summary judgment, affidavits and other sworn material filed in opposition to summary judgment shall be filed and served no later than the day before the hearing date. 1.06	Discovery motions. It is the policy of this court to insist on the cooperation of the parties and counsel in full and proper discovery and to avoid the court's involvement in the discovery process. No motion to compel discovery, motion for protective order, or similar discovery motion shall be filed with the court until after the problem has been thoroughly discussed with opposing counsel, and a diligent effort has been made to solve the problem informally. An affidavit by counsel describing in detail the efforts which have been made to resolve the problem with opposing counsel shall accompany any discovery motion made to the court. The presentation of an unwarranted motion or unwarranted opposition to discovery will subject the offender to sanctions under Civ. R. 37 and this local rule, including the imposition of costs and reasonable counsel fees and expenses. 2.01	Case scheduling conference and order. (1)	Professional tort, products liability, other tort, workers' compensation, and other civil cases - The scheduling conference will be held approximately 3 months after filing. (2)	Foreclosure cases. The scheduling conference will be held approximately 5 months after filing, and any pending default or summary judgment motions may be heard at the same time. The scheduling order in a foreclosure case will notify the parties of the filing deadlines for these motions. (3)	Administrative appeals. The initial scheduling order will be a briefing schedule for the appeal. The parties will argue the case before the court only if oral argument is requested by the parties and approved by the court. (B)	Trial order. At the scheduling conference, a date for the trial and the other resolution events appropriate to the case will be selected, and a trial order confirming those dates will then be provided to the parties. (A)	Mediation. The court schedules a mediation at the request of a party or on its own initiative. All parties and their attorneys are required to attend the mediation session and to meaningfully participate. A party who is not a natural person must send an agent or employee to the mediation who has actual authority to settle the dispute. Permission to participate in a mediation session by telephone will generally be granted only when justified by a showing of extraordinary circumstances, and must be obtained from the court in advance of the mediation session. Failure of a plaintiff to attend and meaningfully participate in mediation may be treated as a failure to prosecute the case. Failure of a defendant to attend and meaningfully participate in mediation may be treated as a failure to make a good faith effort to settle the case which in turn could justify an award of prejudgment interest in an appropriate case. Continuances in mediations shall be granted only for good cause shown and after the movant has obtained a mutually acceptable future date from opposing counsel and the mediator. A continuance will generally not be granted if mediation cannot be scheduled prior to the final pretrial. Mediation may not be used in those situations prohibited by Sup.R. 16(B)(1). A party may request that another trusted individual accompany them to the mediation. (B)	Arbitration. The court offers short form arbitration proceedings before a single arbitrator for which a small charge is made. (A)	Settlement or dismissal entries. Settlement or dismissal entries shall be filed with the court within 14 days after counsel advise the court that a case is settled, unless leave of court is obtained for good cause shown to file the entry later. The entry should allocate court costs. If the entry is not timely filed, the court may enter its own order dismissing the case and assessing court costs in accordance with Loc. R. 2.03(D). The party submitting a settlement or dismissal entry shall enclose sufficient copies to serve all parties and pre-addressed envelopes for service on all parties. The envelopes need not necessarily be stamped. (B)	Partial or final dismissal entry. The party submitting a dismissal entry which does not dismiss all the claims of all the parties in the case shall label it "PARTIAL DISMISSAL ENTRY" in the caption. The party submitting a dismissal entry which does dismiss all remaining claims in the case shall label it "FINAL DISMISSAL ENTRY" in the caption. (C)	Entries prepared by counsel. When directed to prepare an entry by the court, counsel for the party in whose favor judgment is rendered shall prepare a journal entry within 10 days thereafter and submit it to opposing counsel, who - within 7 days after its receipt - shall approve it as accurately reflecting the ruling of the court, or reject it. If the entry is approved as accurate, approval shall be endorsed on the entry and the entry returned to the prevailing party, who shall promptly file it with the court. If the parties are unable to agree on the entry, the prevailing party shall submit his proposed draft to the court, within 20 days after the judgment is announced, and the opposing party may file any written objections to the entry within the following 5 days. If no entry is submitted within 20 days, the court may prepare its own entry or take such other action as it deems appropriate in the circumstances. (D)	Assessment of costs when not specified. If the final entry in a case does not otherwise allocate and assess costs, then costs are assessed against the plaintiff(s) to the extent of plaintiff's cost deposit, and the balance (if any) of the costs are assessed against defendant(s) jointly and severally. (E)	Default and cognovit judgment entries. The moving party shall assure that a cognovit judgment entry or a default judgment entry (including a default judgment entry which also schedules a hearing on damages) is served at the last known address(es) on the party(s) against whom that judgment is taken. 3.01	Grand jury after arrest. The prosecuting attorney shall take charges to the grand jury within 14 days after the date of arrest if the defendant is incarcerated, or within 30 days after the date of arrest if the defendant is not incarcerated. 3.02	Arraignment. In addition to satisfying the requirements of Crim. R. 10 and the Revised Code, the magistrate or judge at the arraignment will schedule the case for the prosecutor's pretrial between the assigned prosecutor and defense counsel. The defendant and defense counsel may waive arraignment in writing on the form provided by the court. 3.03	Discovery. 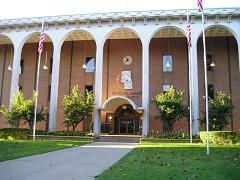 If a "not guilty" plea is entered by the defendant at the arraignment, the prosecutor shall mail or otherwise deliver a discovery packet to defense counsel no later than two weeks after arraignment, or no later than 7 days after arraignment if the defendant is incarcerated on the current charge. Receipt of the discovery packet by defense counsel automatically obligates defendant to supply reciprocal discovery as described in Crim. R. 16 within 30 days. When new defense counsel takes over representation of a defendant after the prosecutor has delivered discovery to prior defense counsel, it is the responsibility of new defense counsel (1) to obtain the discovery from prior defense counsel or from the prosecutor if that discovery is unavailable from prior counsel and (2) to fulfill defendant's reciprocal discovery duties. 3.04	Prosecutor's pretrial. At the prosecutor's pretrial, the parties shall obtain from the assigned judge's staff the dates for trial, for final pretrial and for hearing of any preliminary motions. 3.05	Final pretrial. The final pretrial will be held between 2 and 3 weeks prior to the scheduled trial date. The defendant shall attend the final pretrial unless the court directs otherwise. It is defense counsel's obligation to determine from the assigned judge the date after which the defendant may no longer plead to amended charges or receive an agreed sentence for a plea. 3.06	Transport of prisoner to court. It is defense counsel's responsibility to confirm a prisoner's location and to prepare a transport order for any hearing at which an incarcerated (other than in the Richland County Jail) defendant's presence is required. 3.07	Application of other local rules to criminal cases. The other local rules of this court apply to all criminal cases, except where clearly inapplicable. No attorney will be permitted to withdraw as counsel for a party once that attorney has entered an appearance on behalf of that party unless (1) the attorney files a written acknowledgement signed by his client that the client understands the case will proceed according to the time schedule already fixed by the court whether or not he has a new attorney, that he nevertheless consents to withdrawal of his attorney, and giving the client's current telephone number and address, or (2) after a hearing at which the party is present and may be questioned by the court, or (3) there is a concurrent substitution of new counsel for the party. A video taped deposition filed for use at trial or filed in support of, or opposition to any motion before the court shall be accompanied by a written transcript of the deposition. The transcript of a video taped deposition to be used at trial shall show the recorded time of each objection made by the parties during the deposition. A jury view is not generally favored. The same information may be presented through photographs or videos of the scene, diagrams or aerial photographs. No jury view will be ordered in a civil case until the party requesting the jury view has deposited the sheriff's transportation cost with the Clerk of Courts. The reasonable cost of transportation for a jury view shall then be taxed to costs of the case to be reimbursed to a party making the deposit (if costs are not taxed to that party) upon completion of the case. 7.01	Consolidated cases. A motion for consolidation shall be decided by the judge assigned to the case having the oldest case number, and if consolidation is granted, the cases shall be consolidated into the case with the oldest case number under the judge assigned to that case. 7.02	Refiled cases. If a case is dismissed and subsequently refiled, it shall be reassigned to the same judge to whom it was assigned prior to dismissal. A refiled case shall state under the case number on the complaint, "this is a refiled case previously assigned to Judge ______________" with the name of the judge to whom the case was previously assigned being inserted in the blank. 8.01	Title search. In foreclosure, quiet title, and partition actions for real property - except for certain in rem foreclosures for delinquent real property taxes which are permitted by Revised Code chapter 5721 to be filed without title searches - the attorney for the plaintiff shall procure and file with the Clerk concurrently with his complaint, evidence of the state of record title to the premises, including the names of the owners and lien holders of the property to be sold and a reference to volume and page number at which the instrument is recorded under which each owner or lien holder claims title. Each such title search shall be prepared not more than 30 days prior to the filing of the case by a qualified attorney in good standing, by a qualified title and abstract company, or, upon approval of the court for good cause shown, by some other qualified person. If a plaintiff in a foreclosure case claims ownership of the loan or mortgage through an assignment, a title search must demonstrate that assignment of record before a foreclosure judgment may be entered. Failure to comply with this rule may be grounds for dismissal of the action without notice. The reasonable cost of the title search may be taxed to the costs of the case upon request of the party who incurs the expense. 8.02	Permanent parcel number and address of property. In any foreclosure, quiet title, or partition action involving Richland County real property, the complaint shall include on its face, the permanent parcel number and the address of the property, and as part of the description of the real estate the permanent parcel number(s) assigned to that property by the Richland County Auditor. 9.01	Proof of service. A proof of service on a document filed with the Clerk shall list the specific parties or attorneys served. It is not acceptable to state that the document was served on all parties or counsel of record, and a document containing such an unacceptable proof of service may be rejected for filing by the Clerk or Court. 9.02	Court service on Mansfield attorneys. It shall be sufficient service or delivery by the court or its Clerk to any attorney who maintains a law office within the City of Mansfield, Ohio for any employee or official of this court or of the Clerk of this court to place a copy of the document or other paper in the attorney's mailbox maintained in the office of the Clerk of the Richland County Common Pleas Court. Any such service or delivery shall be deemed effective two business days after the date the document or other paper is placed in that mailbox. Business days are all days other than Saturdays, Sundays, or legal holidays observed by the State of Ohio. 10.01	Space for file-stamp. Along the top edge of the first page of each pleading filed with the Clerk, a party shall provide a blank space at least 2.5 inches by 2.5 inches in which the Clerk may place the filing stamp. 10.02	Attorney registration number, address, telephone and fax numbers. Each attorney filing a document in this court shall include his attorney registration number issued by the Supreme Court of Ohio on every such document, his address and telephone and fax numbers. An attorney who is not licensed to practice law in Ohio shall include his state of licensure and the attorney registration number issued to the attorney by the Supreme Court or highest court of that state. 10.03	Paper and fastening limitations. All pleadings and written attachments filed with the court shall be on 8.5 inch x 11 inch paper printed on one side only. Each pleading shall be separately fastened together. Spring clips, paperclips, rubber bands and similar easily dislodged fasteners are not acceptable. Related pleadings (for example, a motion, an affidavit and a proposed judgment entry) should not be stapled together. (1)	The prosecutor may place a defendant's social security number on the original indictment or bill of information filed in a criminal case or in a motion or order to amend the social security number in the indictment or bill. The prosecutor and court personnel may place a person's social security number on a warrant for that person's arrest. (2)	A judgment creditor filing a garnishment action may put the debtor's social security number on the copy that is to be served on the garnishee. The original and all other copies of the garnishment shall contain only the last four digits of the social security number. (3)	If a party contends a social security number is essential to the purpose of the filing, then that party may file a document which does not specify the social security number and attach to it a sealed envelope containing the social security number. That party shall label the envelope on its outside that it contains a social security number or numbers and that it may be opened only by the court or on its order, and shall identify the case number and the document to which the envelope is attached. (B)	A party attaching an account or other written instrument to a pleading shall redact all but the last four digits of any social security number on that document before filing it. (C)	Documents containing social security numbers may nevertheless be introduced into evidence at trial if the social security number is relevant to some issue at trial. (D)	Any party who receives a social security number in the course of discovery or otherwise in a civil or criminal case shall use the number only for legitimate litigation purposes in that case and shall not disclose that social security number for any other purpose without prior court approval.